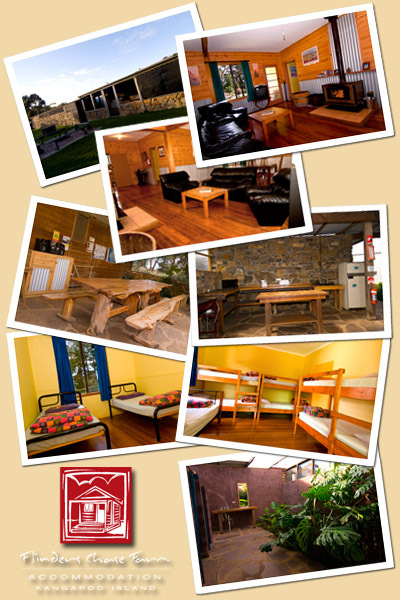 About The Hostel on Kangaroo Island – Situated in the original soldier settler farm house on Kangaroo Island. This home has been completely renovated into stylish, comfortable, affordable Backpackers style of accommodation surrounded by lawned gardens featuring Australian natives and a great outside campfire. Lots of local wildlife to see. Shared living/lounge room complete with a warming wood burning slow combustion wood heater for winter. Bed linen is provided – Note: Towels are not provided. Flinders Chase Cafe for cafe style meals & take away food & park entrance is only about 10km, which is about 15 minutes by vehicle. Hanson Bay Sanctuary has a “Visitor Centre” that includes a Cafe good for lunch. Phone Coverage: Mobile phones with Telstra Next G / 4G sims work. Any other sim card or mobile phone does not have coverage at the accommodation.